Goldstein Research analyst forecast the global nuclear reactor coolant pumps market to expand at a CAGR of 15.3% during the forecast period 2016-2024. The demand for coolant pumps in nuclear power plants and reactors around the world reached USD 1.8 billion in 2016, which is likely to reach USD 5.6 billion by the end of the forecast period. The report covers the present ground scenario and the future growth prospects of the nuclear reactor coolant pumps market for 2016-2024 along with the total revenue of nuclear reactor coolant pumps industry in every region. We calculated the market size and revenue share on the basis of revenue generated per segment, regional and country level. The revenue forecast is given on the basis of number of nuclear reactor coolant pumps manufacturers and current growth rate of the market. Based on reactor type, pressurized water reactors accounted for the largest revenue of more than 50% in global nuclear reactor coolant pumps market in 2016. Moreover, pressurized water reactors are likely to dominate the market over the forecast period owing to major demand for replacement in existing nuclear reactors and installation of new products in under construction projects majorly in Asia. Global Nuclear Reactor Coolant Pumps Market Outlook 2016-2024, has been prepared based on an in-depth market analysis from industry experts. 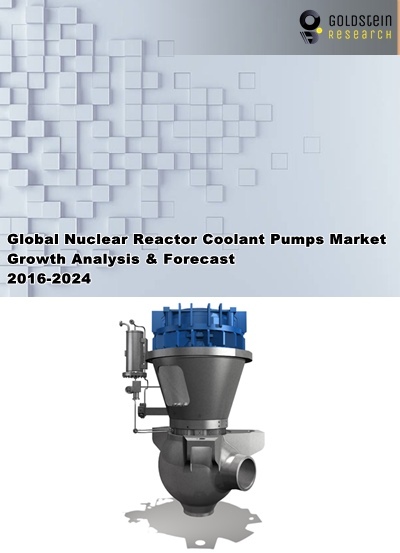 The report covers the competitive landscape and current position of major players in the global nuclear reactor coolant pumps market. The report also includes porter’s five force model, SWOT analysis, company profiling, business strategies of market players and their business models. Global nuclear reactor coolant pumps market report also recognizes value chain analysis to understand the cost differentiation to provide competitive advantage to the existing and new entry players. Our global nuclear reactor coolant pumps market report comprises of the following companies as the key players in the global nuclear reactor coolant pumps market: Areva, SPX Corporation, KSB Pumps, Weir Group PLC, CNNC, Rosatom, Westinghouse Electric Company, CGN, Hitachi GE Nuclear Energy, Mitsubishi Heavy Industries, Andritz AG, Dongfang Electric Corporation, Ebara Corporation, Flowserve Corporation, Curtiss-Wright Corporation, Shanghai Electric Group Company Limited and Sulzer AG. According to our global nuclear reactor coolant pumps market study on the basis of extensive primary and secondary research, one major driver in the market is growing demand for electricity across the globe. The overall demand for energy is set to continue to expand, as rising prosperity in fast-growing emerging economies lifts billions of people from low incomes. Further, the report states that one challenge in global nuclear reactor coolant pumps market is generation of nuclear waste and catastrophic accidents at nuclear power plants. Owing to harmful and disastrous effect of radioactive waste nuclear power plants are facing major challenge for ongoing and planned projects. For instance, in 2011 German government vowed to shut down its nuclear capability within next 10 years and to replace it with renewable energy. Geographically, Europe region accounted for the largest market share of 40% revenue in global nuclear reactor coolant pumps market owing to presence of more than 180 operational nuclear reactors in the region. Europe is closely followed by the Asia pacific region, which occupied about 29% of the market share owing to presence of significant number of nuclear reactors in the region. Central Europe, South America and Asia provide the immense potential for the market growth owing to aggressive persuasion for nuclear power generation.